Cruisin' Mommyhood: Cruisin' mommyhood with me. New things excite me. I don't jump at the newest craze but, I am excited when the "something new" is about the things I like and love. Just like when I have a new bag or pair of shoes. I cannot just keep it in my closet and wait until my outfit matches it. I will make sure that what I will wear the next day WILL match it! For me, the excitement of being a mom is like having a new bag or pair of shoes everyday. As a first-time mom, everything about motherhood is new to me. So, I look forward to each learning experience, which I document in this blog. What started out as a personal diary has evolved into something that working moms can relate to and hopefully learn from: a work-in-progress mommy manual! Cruisin' Mommyhood is an archive of my reflections and learnings as a wife to Don and a mom to Julia. · Stories and tales of our Family Moments: Our road trips and bonding activities. · Thoughts, feelings and discoveries about Parenting. · Monday Motivation: weekly words of encouragement and inspiration from the Bible that will serve as our headlight, our guide that will nurture us as we face each week. 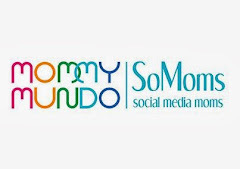 · Practical Tips that will help working moms cruise the path (and overcome the humps!) of motherhood and family life. 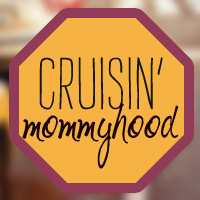 All in all, Cruisin' Mommyhood is all about enjoying the ride through parenting. Being a parent is not a joy ride. It is a deliberate effort to impress good character and teach Christian values to our children. Parenting books and blogs help me survive this on-the-job-training called motherhood. But my dad is right, there is no better teacher than experience. Every mommy-baby relationship is different. Hence, the opportunity to learn is endless! Won't you join me for the ride?